Rental Beast, the only fully integrated SaaS platform in the real estate market with a comprehensive listing database of over six million rentals nationwide, announced today it is integrating their rental application tool, Apply Now, with the real estate portal, HomeFinder.com. ” The addition of ‘Apply Now’ further enhances our user interface by seamlessly enabling our consumers to apply for rental properties while on the HomeFinder.com website. We are delighted to continue establishing our presence as the most consumer friendly real estate portal in the industry.” stated Michael Sawtell, CEO of The HomeFinder Group. 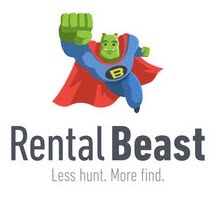 For more information about Rental Beast, visit RentalBeast.com. For more information on HomeFinder, visit HomeFinder.com. Rental Beast is dedicated to simplifying the rental real estate market with a SaaS platform designed to empower brokerage firms, real estate agents, and landlords. With an online database that has access to over six million nationwide rental listings not found on the Multiple Listing Service (MLS), Rental Beast is poised to capture the 47 million renter-occupied homes in the U.S. Rental Beast leverages the insights of knowledgeable local experts and a comprehensive database of the latest rental market data to ensure each tenant, landlord, and real estate agent has access to the information they need to navigate and succeed in a competitive rental market. The platform also offers access to consumer leads and powerful tools to generate leads and help brokerage firms with agent recruiting, retention, and training, as well as supporting agents with essential productivity tools so they can stay on top of their rental and first-time home buyer business while focusing on high margin leasing commissions. In 2018, Rental Beast launched Rental Beast University, a comprehensive digital education platform with on demand, self-paced courses and hands-on expert coaching from industry experts to fast track their success. The company is headquartered in Somerville, Massachusetts. HomeFinder.com is owned and operated by entrepreneurial team members who are focused on elevating HomeFinder.com to the status of a world class portal, giving the consumer the most efficient online environment for home shopping available today. Since the 2017 acquisition, the company has been focused on transitioning the well-known 19-year-old legacy website to a modern, cloud hosted, and mobile-first website that will perform lightening quick for consumers across the country, establishing the site as a world class portal enabling folks to make sound home buying decisions. The NEW HomeFinder.com was released in July of 2018. Enhancements continue weekly. HomeFinder.com and its predecessor, Homescape.com, has been online serving consumers since 1999, making it the oldest surviving real estate portal in the country. The HomeFinder Group LLC currently has offices in Irvine, CA; Chicago, IL; Gainesville, FL. and Baltimore, MD.